Conference Series LLC Ltd is overwhelmed to announce the commencement of 52nd Annual Nursing Research and Evidence-Based Practice Conference to be held during August 19-20 in Singapore. 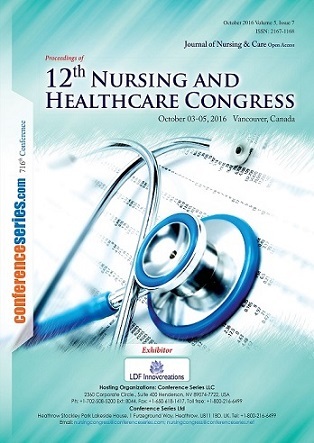 The upcoming conference will be organized around the theme Advanced and Emerging Issues in Nursing Research and Evidence-Based Practice. Conference Series LLC Ltd and its subsidiaries including iMedPub Ltd and Conference Series Organize 3000+ Conferences across USA, Europe & Asia with support from 1000 more scientific societies and Publishes 700+ Open Access Journals which contains over 50000 eminent personalities, reputed scientists as editorial board members. 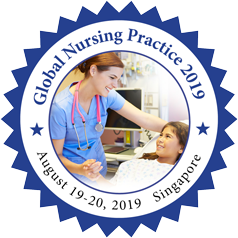 Global Nursing Practice 2019 Nursing Research and Evidence Based Practice Conference 2019 offers a cutting-edge program of renowned international speakers, specialist concurrent sessions, short paper and poster presentations attracting over 450 experts in the conference providing an opportunity for nurses to learn the mechanics of the research process and the evidence-based practice through interactions with experienced nurse researchers and practitioners. We encourage nurses from clinical practice, academic and administrative settings, and nursing students to use this forum to learn more about the wonderful research activities and to stimulate further interest in future research. In addition to cutting-edge presentations and debates, this year agenda provides you with an opportunity to participate in or organize a workshop. Conference Series LLC Ltd proudly invites you to the 52nd Annual Nursing Research and Evidence Based Practice Conference being held conducted from August 19-20, Singapore which will include Oral talks, prompt keynote presentations, poster presentations and exhibitions. 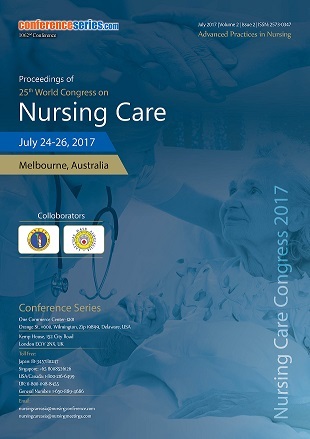 Nursing Research and Evidence Based Practice Conference 2019 offers a cutting-edge program of renowned international speakers, specialist concurrent sessions, a short paper and poster presentations attracting over 450 experts in the conference providing an opportunity for nurses to learn the mechanics of the research process and the evidence-based practice through interactions with experienced nurse researchers and practitioners. We encourage nurses from clinical practice, academic and administrative settings, and nursing students to use this forum to learn more about the wonderful research activities and to stimulate further interest in future research. In addition to cutting-edge presentations and debates, this year agenda provides you an opportunity to participate in or organize a workshop. The Nursing Research and Evidence Based Practice Conference 2019 has been carefully designed with various multi and interdisciplinary tracks to reach the core objective of the conference that is to provide a platform for both academic and industry experts and professionals to gather, exchange Intel and build the network in their respective fields. We cordially invite all concerned people to come to join us at our event and make it successful by your participation. Nursing informatics (NI) is the specialty that integrates nursing science with multiple information management and analytical sciences to identify, define, manage, and communicate data, information, knowledge, and wisdom in nursing practice. NI supports nurses, consumers, patients, the interprofessional health care team, and other stakeholders in their decision-making in all roles and settings to achieve desired outcomes. This support is accomplished through the use of information structures, information processes, and information technology. 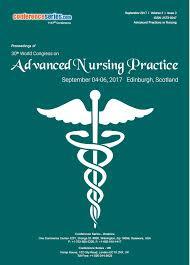 Nursing practice is registered nursing professionals who are well trained and educated to promote and maintain tealth. They have skill-based knowledge and decision creation to provide better healthcare. Nurses are considered as primary healthcare practitioner as they are initially in need of patient care. Nursing Conference aims to discover progress in health practice, management, and education in relation to health disparities as well as a breadth of other topics. The accelerated nursing program gives people or students with a bachelor’s degree in a non-nursing discipline to become a Registered Nurse (RN) at the earliest without spending more time in school, making it an 11-18 months course. Critical care nursing is the field of nursing with a focus on the utmost care of the critically ill or unstable patients following extensive injury, surgery or life-threatening diseases. Critical care nurses are also known as ICU Nurses. As a dental nurse, you may help with reception work and could help any member of the dental team - dentists, clinical dental technicians/technologists, hygienists, and therapists – treat patients of all ages. Recording and cataloging the evidence for systematic retrieval. Evidence-based medicine (EBM) is the conscientious, explicit, judicious and reasonable use of modern, best evidence in making decisions about the care of individual patients. EBM integrates clinical experience and patient values with the best available research information. 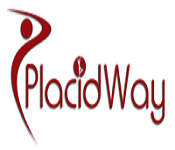 It is a movement which aims to increase the use of high -quality clinical research in clinical decision making. EBM requires new skills of the clinician, including efficient literature-searching, and the application of formal rules of evidence in evaluating the clinical literature. The practice of evidence-based medicine is a process of lifelong, self-directed, problem-based learning in which caring for one’s own patients creates the need for clinically important information about diagnosis, prognosis, therapy, and other clinical and health care issues. To enroll patients in studies of treatment, diagnosis, and prognosis on which medical practice is based. Evidence-based nursing (EBN) is an approach to making quality decisions and providing nursing care based on personal clinical expertise in combination with the most current, relevant research available on the topic. This approach is using evidence-based practice (EBP) as a foundation. EBN implements the most up to date methods of providing care, which has been proven through appraisal of high-quality studies and statistically significant research findings. The goal of EBN is to improve the health and safety of patients while also providing care in a cost-effective manner to improve the outcomes for both the patient and the healthcare system. EBN is a process founded on the collection, interpretation, appraisal, and integration of valid, clinically significant, and applicable research. The evidence used to change practice or make a clinical decision can be separated into seven levels of evidence that differences in the type of study and level of quality. To properly implement EBN, the knowledge of the nurse, the patient’s preferences, and multiple studies of evidence must all be collaborated and utilized in order to produce an appropriate solution to the task at hand. 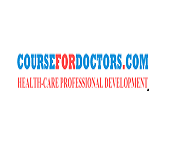 These skills are taught in modern nursing education and also as a part of professional training. 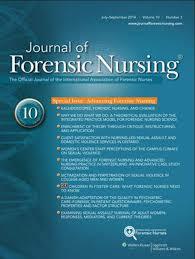 Theme: Advanced and Emerging Issues in Nursing Research and Evidence-Based Practice. 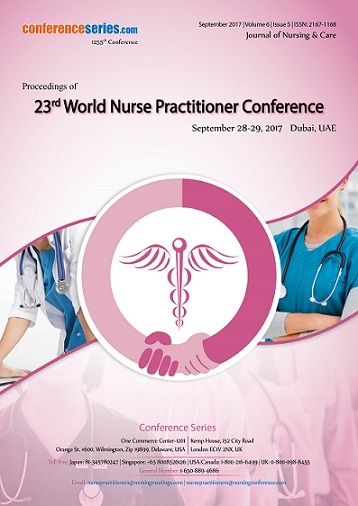 Nursing Research and Evidence-Based Practice Conference 2019 offers a cutting-edge program of renowned international speakers, specialist concurrent sessions, a short paper and poster presentations attracting over 450 experts in the conference providing an opportunity for nurses to learn the mechanics of the research process and the evidence-based practice through interactions with experienced nurse researchers and practitioners. We encourage nurses from clinical practice, academic and administrative settings, and nursing students to use this forum to learn more about the wonderful research activities and to stimulate further interest in future research. According to reports from the Ministry of Finance and the Ministry of Health, Labor and Welfare, Singapore, the country spent $240 billion on healthcare in 2016, which approximates to 4.2% of the GDP. The numbers are expected to increase by 3% every year and reach 10% of the GDP by the year 2018. Singapore, an island city-state off southern Malaysia, is a global financial hub with a tropical atmosphere and multicultural population. It has been Southeast Asia's most modern city for around a century. The city blends Malay, Chinese, Indian, Arab and English cultures and beliefs. Its distinctive ethnic tapestry affords visitors a wide array of sightseeing and culinary opportunities from which to choose. Singapore is also contemplated as an important center for higher education and harbors, healthcare, well-reputed colleges and Universities. 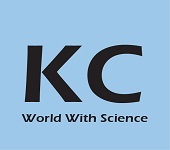 Singapore conferences indeed play a vital role in promoting scientific knowledge and ideas all over the world. It can be considered as a suitable medium for the transfer of valuable knowledge about research and novel advancements worldwide. Singapore has a full calendar of traditional festivals and festivals celebrated throughout the year adds to its cultural appeal. Its colonial core centers on the Padang, a cricket field since the 1830s and now bordered by grand buildings such as City Hall, with its 18 Corinthian columns. In today’s increasingly complex healthcare environment your career and level of patient care depend on your ability to further your education and skills. 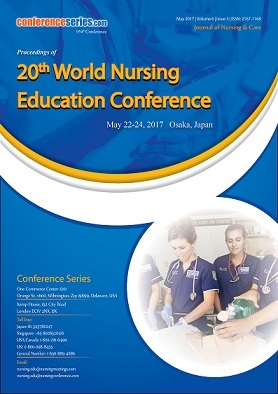 One way you can extend your knowledge and enhance your skills is through attending and participating in nursing conferences. This is an excellent opportunity to share your research initiatives, novel proposals, technology trends, related current issues, and future perspectives. Nursing is a field with higher degrees of scope in the future giving robust employment opportunities with highlighted scopes for travel nurses and foreign nurses with special visa statuses in Singapore. Clinical data management is gaining more importance in Singapore as it is expected to reduce the expenditure of the government caused due to redundant data and repetition of diagnostic tests. Nurses and related healthcare professionals will have an ample opportunity to connect with colleagues, researchers, exhibitors, and young talents and have discussions on emerging trends and challenges in real-time practice. Thanks to all our wonderful speakers, conference attendees, and Sponsors, Global 2018 Nursing Practice 2018 Conference was our best! 49th Annual Nursing Research and Evidence Based Conference 2018, hosted by the Conference series Group were held during August 20-21, 2018 Tokyo, Japan with the theme “Innovating Nursing Care through Research and Evidence Based Practice Conference”. 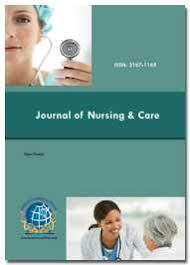 Benevolent response and active participation were received from the Editorial Board Members of Conference series Journals as well as from the Scientists, Doctors, Professors, Nursing Lecturers, Nurses, Pharmaceutical Industries, Healthcare Industries, Researchers and Students from the fields of Healthcare & Nursing. 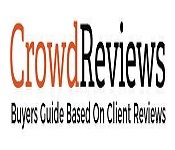 A very special thanks to Susan Ka Yee Chow, Jun Yu Fan. With the grand success of Global Nursing Practice 2018, Conference Series is proud to announce the "52nd Annual Nursing Research and Evidence-Based Practice Conference” scheduled on August 19-20, 2019 Singapore.